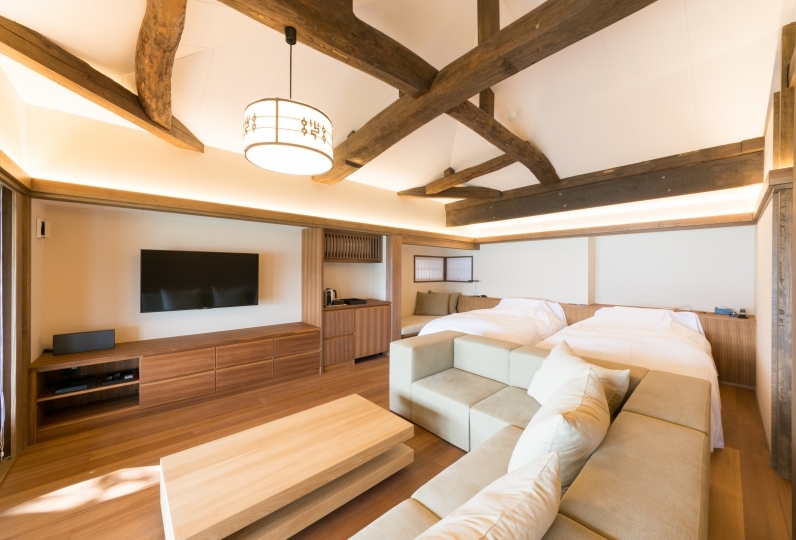 Retaining the tradition of the old Chitose inn that had been in business since Edo period, Wine-to-Oyado, a new auberge, opened in 2000. It is located right by Amano-Hashidate and Kaisen Bridge. Guests can enjoy French wine as well as "Amano-hashidate wine": Its wine cellar holds over 50,000 bottles. There is a winery tour and a visit to the factories is available for wine lovers. 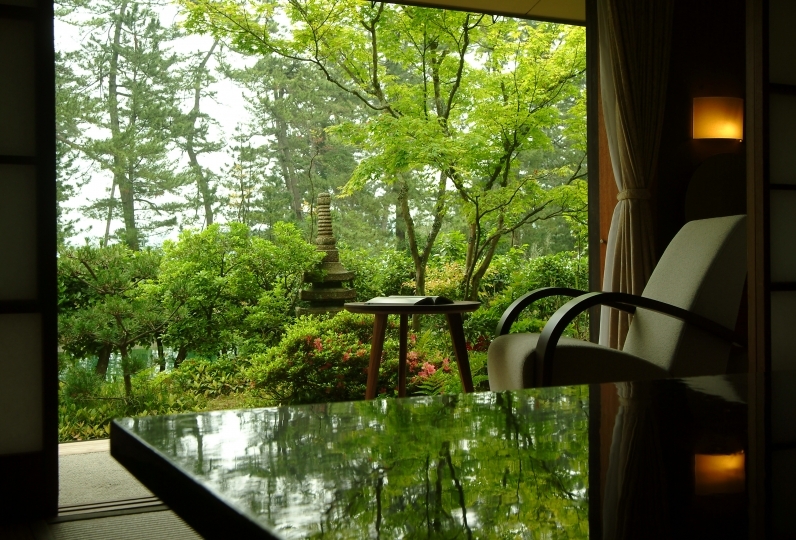 Guests can enjoy a  gorgeous view of Amano Hashidate, the line of pine trees, and the canal from the guest rooms. Each room is decorated with different furnishing, giving guests warm ambience. The auberge offers dishes full of fresh fish and vegetables acquired at the morning market. 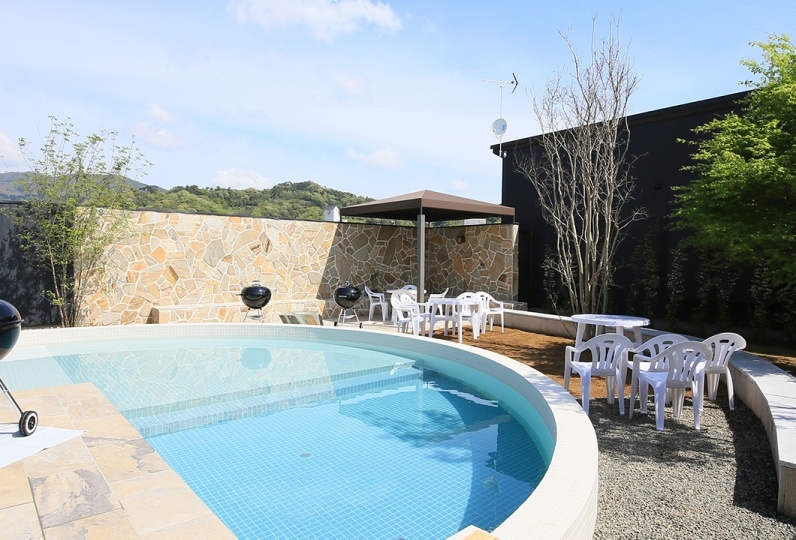 Guests can enjoy the marriage of the best wine and cuisine at Wine-to-Oyado. Other great features they offer is a hot spring called "bijin-no-yu"(beauty water) that is believed to improve skin conditions. 4 different baths are available for guests to relax and enjoy by doing "nothing". 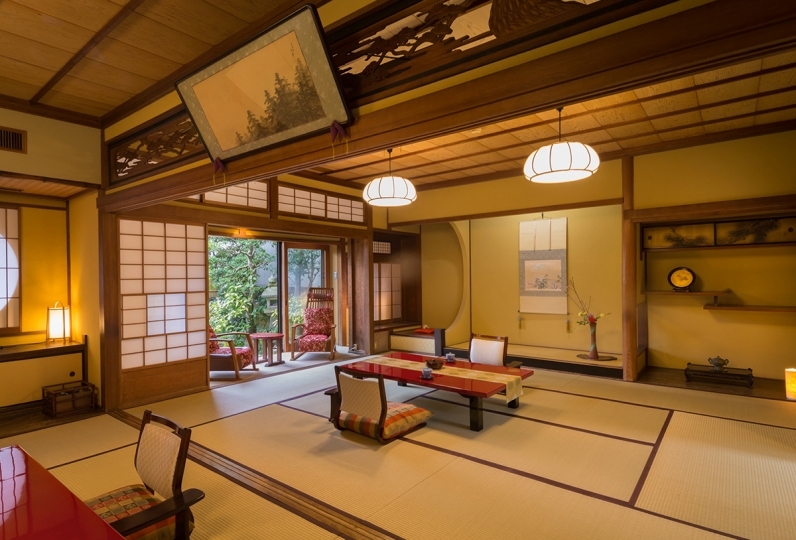 An auberge is filled with modern and traditional western and Japanese concepts. The room and resturant were well decorated with nice view. Food is very delicious and we will be happy to stay again. My wife and I loved the condition of the wine very much. The price was very reasonable too. Thanks! Although it is small in the whole, the rooms are nice too and the meal was quite satisfying with the volume considerably! However, when I went to take a bath from the morning, the hot water in the bath was very hot and it seemed to burn, so I could not put it in. I am happy if you can adjust the temperature of hot water. Guests can enjoy the hot spring water of Amano Hashidate which is called "Bijin-no-yu"(Beauty water ). The hot spring water has a beneficial effect on the skin. A visit to the vineyards of Amano Hashidate winery, and its factory (affiliated) is available upon request. Please indicate your request on the comment section of the booking form. ・ Plans do not include the additional bath tax of 150yen/person.